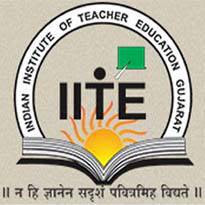 Indian Institute of Teacher Education (IITE), Gandhinagar Published Recruitment Notification for Controller of Examinations Posts. Qualification : Master’s Degree (Two years Academic Degree) with at least 55% of the Marks or its Equivalent Grade of ‘B’ in the UGC Seven Point Scale. and Five years of Administrative Experience as Assistant Registrar or in an Equivalent Post or above in any Institute of Higher Education. OR Five years of Teaching Experience as an Assistant Professor or an Equivalent Post or above in any Institute of Higher Education. Send Application To This Address : Registrar, Indian Institute of Teacher Education, Ramkrushna Paramhans Shaikshanik Sankul, KH Road, Sector No. 15, Gandhinagar - 382016. (Gujarat).